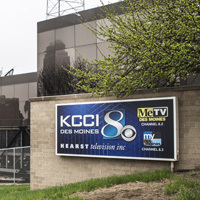 Hearst’s KCCI Des Moines, Iowa, took top honors in the small-medium market category in TVNewsCheck’s inaugural Social Media Excellence Awards. Its social media producer explains how the station captured a “beautiful moment” to lift it above the pack. KCCI, the Hearst-owned CBS affiliate in Des Moines, Iowa (DMA 75), will receive the Social Media Excellence Award for small-medium market at TVNewsCheck’s NewsTECHForum on Dec. 10 at the New York Hilton. Honorees will also take part in a panel discussion with Kim Wilson, president and founder of Social News Desk, the presenting data partner for the awards. This is the first year for the Social Media Excellence Awards, which honor broadcasters’ exceptional innovation, creativity and audience engagement on Facebook. TVNewsCheck spoke with Hope Wilson, KCCI’s social media producer, about the station’s standout Against All Odds project and how KCCI uses Facebook as an engagement tool. What was behind your Against All Odds social media project, and how did you execute it for Facebook? The Against All Odds special came to fruition based on a story that KCCI had covered previously of Chris Norton, a football player at Drake University who had been paralyzed on the field. We followed his progression as he was going through his recovery. He was working toward being able to take his first steps down the aisle at his wedding. What we wanted to do was let people see this beautiful moment, so I built this Facebook video. This text overlay video that showed the buildup from him having the accident to him training and rehabilitating to be able to walk again to this focal moment walking down the aisle. We like to focus on finding these personal moments and these really incredible people and be able to share their stories and so it was great to see it perform as well as it did. What’s your approach to frequency of posts on Facebook? I keep our Facebook posts a little more limited in how often we’re spreading them out — maybe every half hour — because I don’t find Facebook to be a place where you want to fire hydrant people with news, especially if someone’s news feed isn’t set in top stories. Then everything is kind of jumbled and out of order and doesn’t make sense when you see it. How are you using Facebook to break stories? If we have a breaking news story unfolding in front of us, it’s our top priority as a digital team to obviously get as much confirmed information as possible. Whenever possible [we] make sure that our talent is going live on Facebook to be able to communicate what’s going on and what’s happening in real-time. Any time that we can be live and at the scene and explaining what’s going on, that is always going to be a top priority.